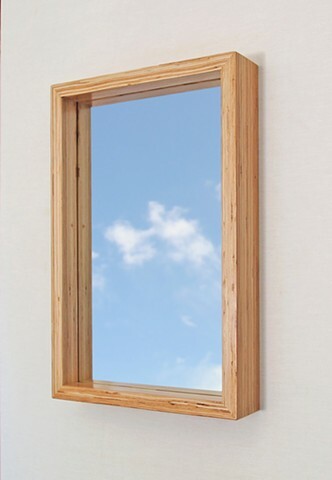 Modern mirror frame made with salvaged engineered LVL (microlam). The wood was cut to reveal the parallel lines on all surfaces seamlessly. The shadowbox frame is what I call a "Deep Box".